This entry is part 7 of 29 in the series Bookshelf. 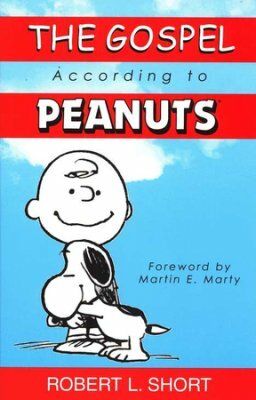 The Gospel According to Peanuts is a best-selling 1965 book written by Presbyterian minister Robert L. Short. The book is about Charles M. Schulz's popular comic strip, Peanuts. 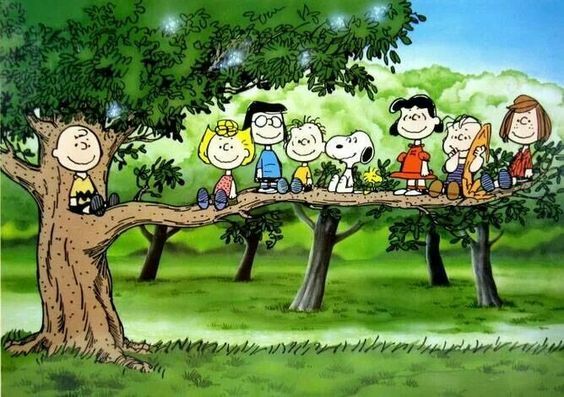 Short looks at the activities and antics of Charlie Brown, Snoopy, Lucy, Linus, and the rest. Highlighting his remarks with selected cartoons, Short delves into the cast of characters looking from a Christian perspective, revealing a surprisingly prophetic meaning behind their otherwise hilarious activities. Charlie Brown, Snoopy, Lucy, Linus, and the rest of the Peanuts gang have enjoyed the kind of success most cartoon characters can only dream about—becoming pop culture icons of the highest order and entering the global consciousness practically as family members—Robert Short's work has found a place in the hearts of many readers, secular, and non-secular alike. Hey I got that book for Christmas one year! Mr. O(smiles in agreement)... thank you for sharing and God bless you. It's a beautiful little book and a joyful read, for young and old, alike. All praise, honor, and glory to the LORD.